So summer is at an end and we are heading fast into Autumn. Over spring and summer your fences will have dried out and they can often can become brittle. Before winter sets in, now is the time to check your fences and buy new ones before the weather gets too bad. 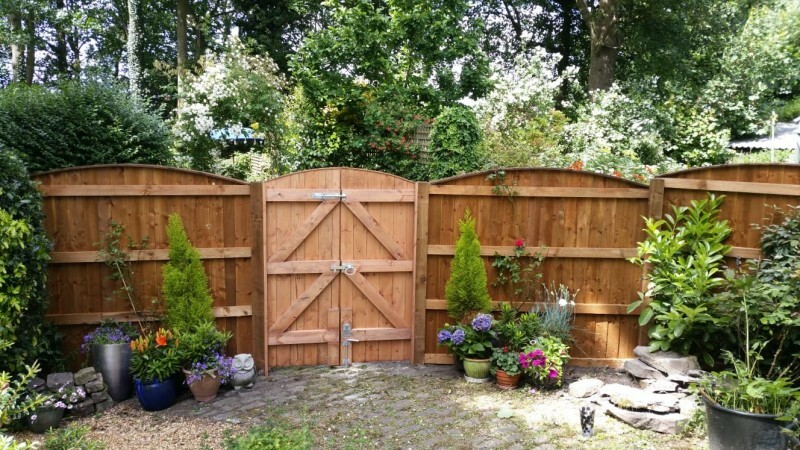 Many of us may not pay much attention to our fencing and fence panels but fences in Wigan suffer the same damage, wear and tear as fences anywhere. Hot weather dries them out, cold weather can cause cracks in the posts and wet weather makes it easier for rot to set into the the panels. All this happens unseen, as long as we see our fences still standing we forget about the wear and tear they undergo every year. Take a walk around your garden and have a closer look. See if the panels are sat tightly in the fence posts, not too much wobble if any. Give the concrete posts a push, they should be firm without any movement. Check the concrete posts up and down for cracks or places were concrete has come away. Take a look at the timber the fences are made from, do you see any brittle material, signs of rot or severe splitting? If you notice any of these signs then the likelihood is your fence is on the way out. Winter can bring some of the strongest winds of the year, if your fences aren’t up to scratch you may just come home to a garden full of fallen fences. More often than not when one fence panel blows a few others can blow down too. Buy fencing before winter sets in. Replacing fencing now is a great idea, the weather isn’t too bad, plus the demand for fencing at this time of year is lower than after a storm. This all adds up to better value for money for you and a quicker more convenient service. Buying anything when stocks are scarce almost always means things are more expensive. Autumn can be a quieter month for the fencing trade, meaning stocks are more plentiful and demand a little lower. So why not take the chance to grab yourself a bargain today and buy new fencing before the winter. For the very best deals and the best service around call Advanced Fencing today – our reviews are testament to just how good we are!